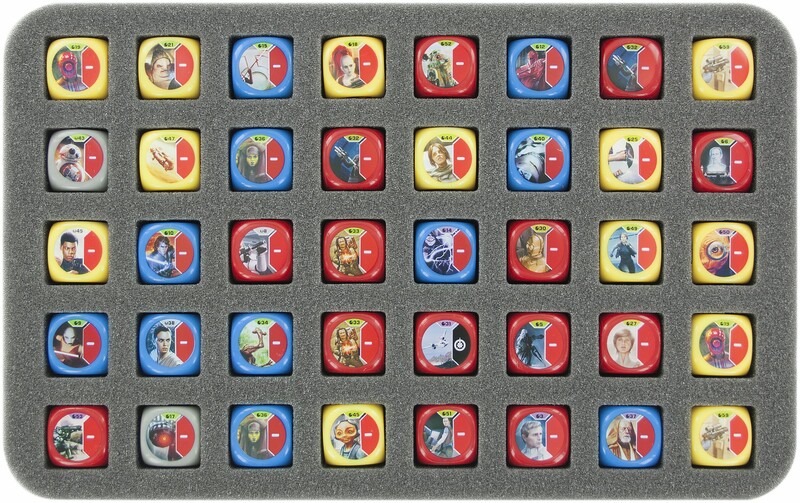 Feldherr MINI PLUS case for Star Wars Destiny dice. 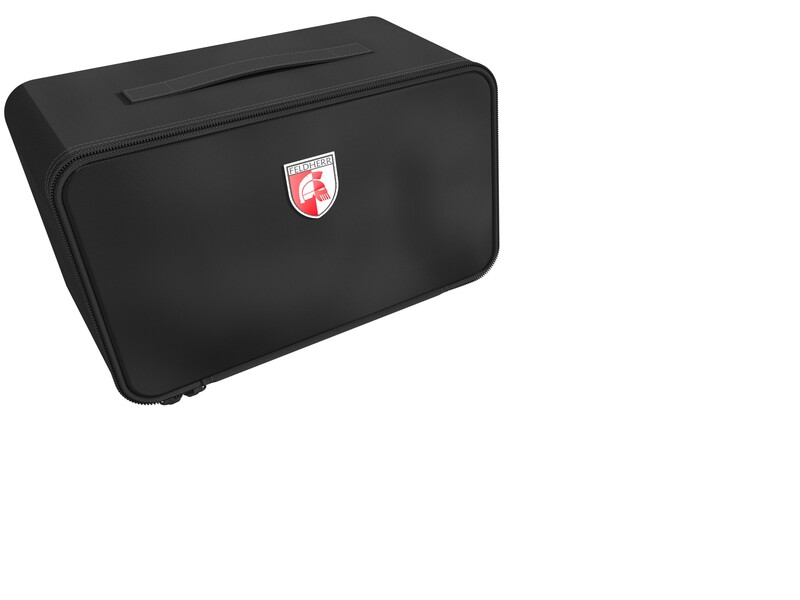 The bag is ideal for transport up to 3 Deck cases/ boxes and 80 dice. 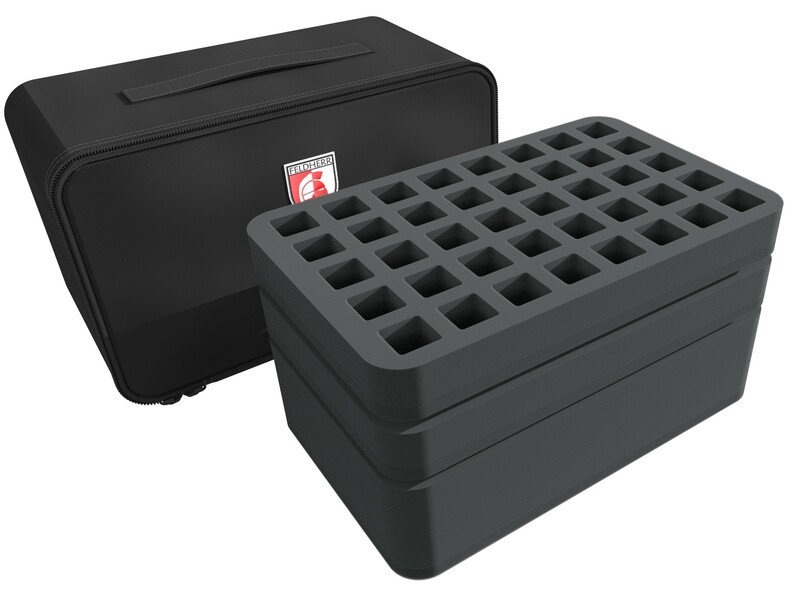 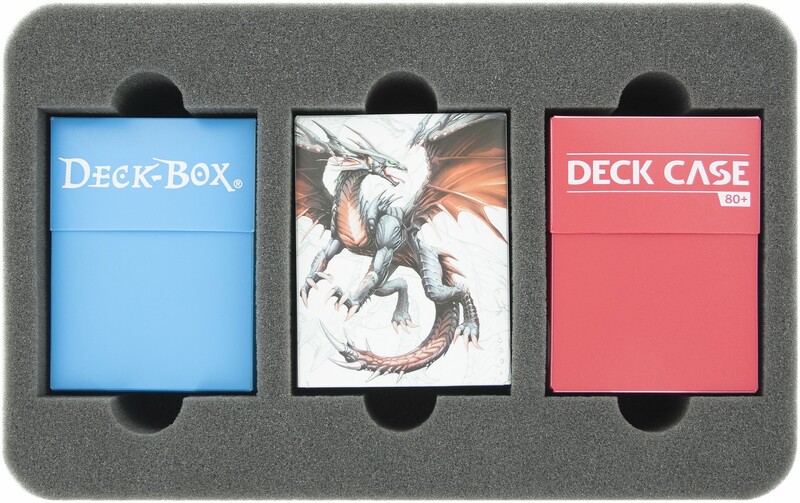 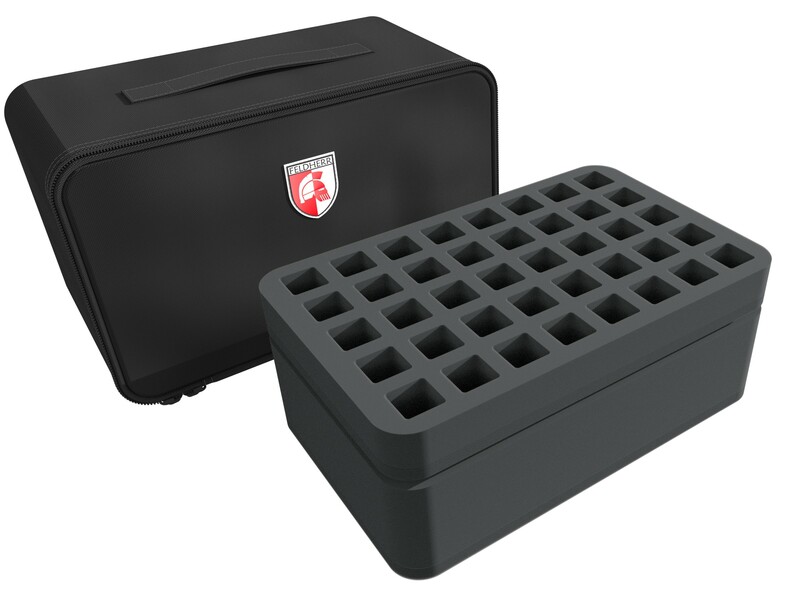 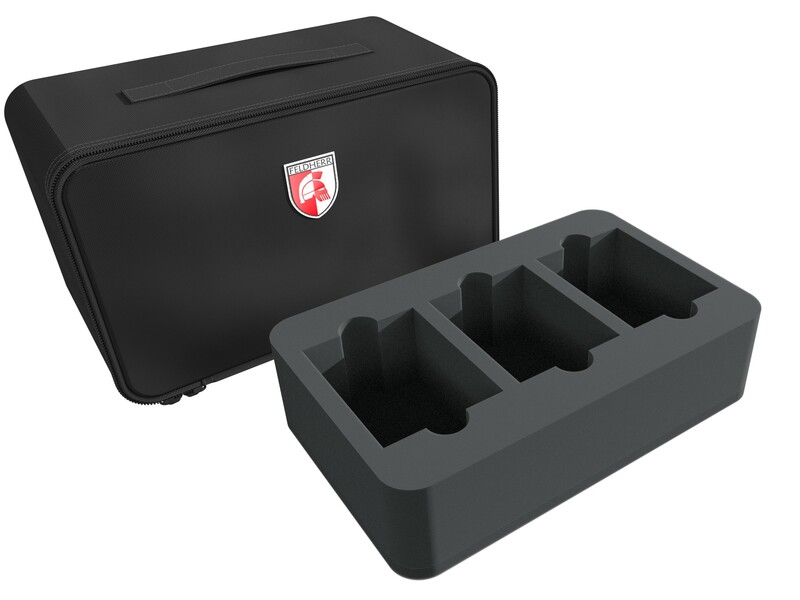 The compartments are 100 x 76 mm x 60 mm in size and each have two finger holes.